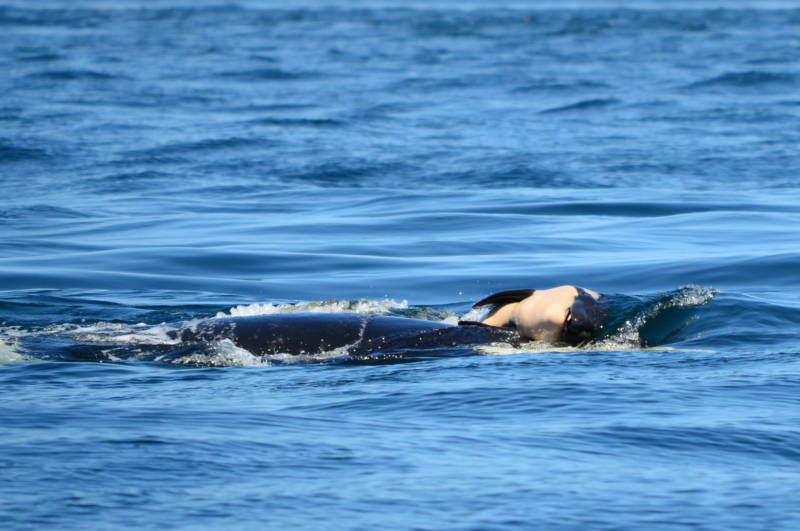 A female killer whale is still clinging to her dead calf more than two weeks after her newborn died. 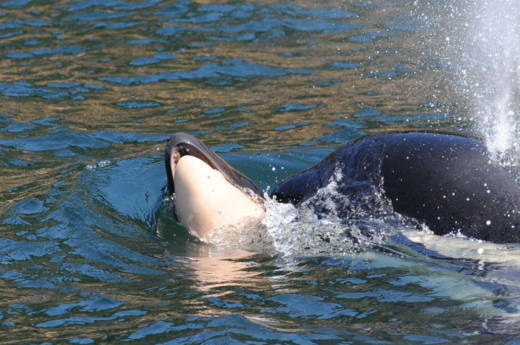 The endangered orca, given the name Tahlequah, gave birth on July 24 and the calf died shortly afterward. Michael Milstein, a spokesman with NOAA Fisheries, says researchers on Wednesday spotted the 20-year-old whale known as J35 carrying her dead young off the tip of Washington’s Olympic Peninsula. The image of the mother whale clinging to the dead calf has struck an emotional chord worldwide. Biologists are ready to feed the malnourished whale fresh salmon along with antibiotics to treat an infection. NPR contributed to this report. See here for more of NPR's coverage on the endangered orcas.